Winners, please e-mail me your addresses at chavela_que at yahoo dot com. And everyone, thanks for participating! You've encouraged me to do more such giveaways in the future. If you would like to learn more about these books, as well as my fabulous Summer 2012 titles, please check out the Scholastic Librarian Preview. If you view it by age range, in Picture Books, I'm at minute 1:00 with the charming Zoe Gets Ready by Bethanie Deeney Murguia; in Middle Grade, I'm at 13:46 with the uber-fun Gold Medal Summer by Donna Freitas; and I kick off the YA section with the three books listed above.Watch closely and you'll see me toss a feather boa around my neck with bonhomie and savoir faire. Voila! 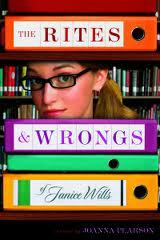 This past summer, we published The Rites and Wrongs of Janice Wills by Joanna Pearson, a funny, smart novel about sixteen-year-old (guess who?) Janice Wills, who styles herself as an anthropologist of life in Melva, North Carolina (a.k.a. the Livermush Capital of the World). Joanna amazed me by revising the book while she was in first medical school and then an internship -- part of a joint MFA/MD program offered by Johns Hopkins University. 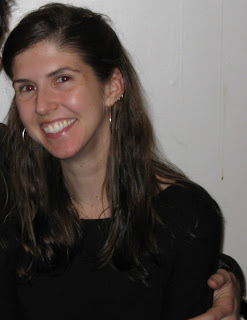 She lives in Baltimore, Maryland, where she is completing her residency, and she was kind enough to answer some questions for me here. Writing poetry, it seems, is one of those habits that, at least among most members of polite society, one is expected to have outgrown. The fact of one’s persistent poetry-writing makes others uncomfortable—like wearing pantaloons and a feathered hat in the supermarket. You are either a throwback, a weirdo, a Renaissance Festival enthusiast, or someone who never fully exited adolescence. “Oh, you write poetry!” some well-meaning soul says. “I write poetry too! At least I used to! In ninth grade, I had a whole notebook chock-full of poems!” To this, you must nod politely, although you will secretly be saying, No, you don’t understand! Everyone had a notebook full of poems in ninth grade. What I write now, this is Poetry For Real! This is Serious Business! You will never actually say this, of course, because, first of all, no one would believe you, and, second of all, it would only make you look weirder. I think you could switch out the word "poetry" for "children's/YA books" in the above, and many, many writers would recognize the same condescending tone from their own conversations. What drove you to write a YA novel, despite such disapproval, and what keeps you coming back to poetry? Hmm. That's such a smart observation--one I''ve never considered! 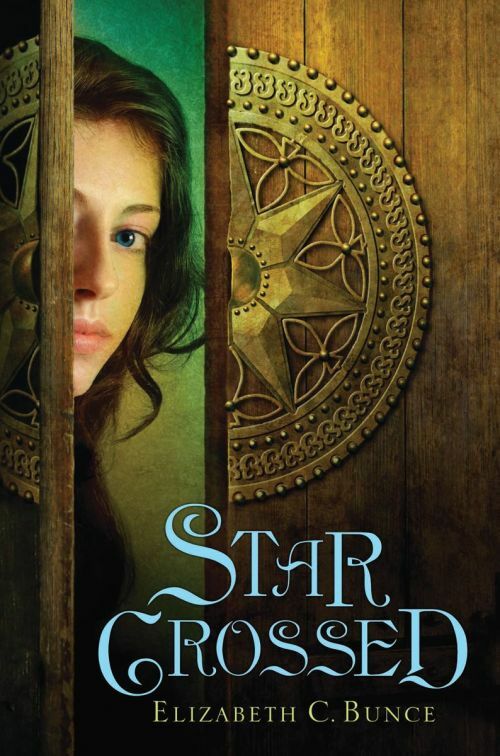 To be honest with you, when I first began working on this book, I actually chose to delve into YA because it's so completely different from poetry. I started what would eventually become Rites and Wrongs during the summer after my first year in my poetry MFA program. At the time, I was feeling exhausted from writing poetry and wanted to do something that would be really fun and light and totally different. I can now say officially that the process of writing YA and the process of writing poetry ARE indeed completely different. Utterly, wholly, completely different. I love poetry because I love sound and meter and form; I also love playing with language's accumulated resonances and meanings. It's precision work--like working on a tiny, jeweled box. Although there is definitely still storytelling involved, it's often more subtle, and more in the suggestion. Writing YA feels so much broader, like working on a large mural. And I think that when writing YA, one must tap into the adolescent part of one's brain, whereas when writing poetry, tapping into this part of one's brain is usually is a recipe for disaster. I guess the dominant "respectable" genre will always be literary fiction (and don't get me wrong--I love this too!! ), but both YA and poetry are backed by such ferocious, fervent communities. YA and poetry are the underdogs--maybe that's the main similarity, that underdog charm. Where did this book start from for you, particularly the anthropology concept? This answer is easy: the book started with Janice's voice. Everything else grew out of that. Janice is, in a way, the purest distillation of adolescent insecurity and hyperawareness. She's the ur-teenager, if you will. And her interest in anthropology is really an outgrowth of this. How good an anthropologist Janice is throughout most of the book is definitely open to debate. I'd say she's a pretty good misanthropologist, though. One of the things I loved about the manuscript was that it paired that teenage emotional instinct to analyze and critique everything with an academic/intellectual discipline made for it -- which is of course also very teenage, to get wrapped up in some giant system of seeing the world. What systems did you subscribe to as a teenager? Do any of those linger in your worldview today, and how? How did the manuscript change in the course of the revision process? Whew--it changed a lot. At the very beginning, I thought that to make a good YA novel, it was mandatory that one include either several paranormal boyfriends or a dystopian combat scene, or else throw in enough intrigue for an entire season of The O.C. So Janice was there from the beginning, but there were also some ghosts, blackmail, a mysterious car crash, people in disguises... And I don't think it made a lot of sense. Then, a couple of very wise people (including one very wise editor) helped me to pare all this away and really focus the story on Janice and her voice. So, yeah--the biggest challenge in revision was finding that viable structure. How does it feel to be a published author—as opposed to being an author whose book had been accepted for publication, but not yet out, or an author whose work was just on submission? Has it made any difference in your life at all? Things are not different in a major way, although I've now learned about new types of book-related anxiety. It's both thrilling and terrifying to have something that exists out in the world, particularly in a world in which people have so many venues to respond. The coolest thing has been getting the chance to meet a few adolescent readers who really loved the book. That's amazing--the reason I think most people write, really, is for that ideal reader, or readers. Still, it's a very anxiety-provoking thing to put yourself out there like that.... I have new respect for all the writers who have been doing this for years--and for pageant contestants across the land! You have an incredibly busy schedule as a newlywed, a medical resident, a published author, a poet. . . . How do you make time to write? Do you have any self-disciplinary strategies you'd be willing to share? Oh, man. I wish I did! Right now, it's been very difficult to find writing time. Last year, while I was an intern (which means I was basically working a thirty-hour shift in the hospital approximately every fourth day), it was basically impossible. My schedule's slightly better this year, so I'm starting with small things, like sonnets, just to get back into some kind of writing discipline. I have the beginnings of an idea for a second YA draft, but it's been kind of on the backburner. Right now, my husband Matthew and I consider it a victory when there's not a mountain of dirty dishes in our sink! So the bad thing about my day job is that, particularly in the short-term, it's incredibly time-consuming. The good thing, however, is that my day job is the sort that always puts things into perspective and is, at various moments, frustrating, stressful, eye-opening, exhausting, interesting, and inspiring. I can't wait to have just a little more time for writing, though! That I can do, or that I can't do?? Since I can't do that many awesome dance moves, I'll name the one I most admire: the Worm. People who can do the Worm are amazing to me. I'm sort of in-between books at this second. I just finished reading a bunch of great short story collections. Among them all, I really liked Mattaponi Queen by Belle Boggs and Before You Suffocate Your Own Fool Self by Danielle Evans and This is Not Your City by Caitlin Horrocks. Next on my list is The Marriage Plot by Jeffrey Eugenides. YA-wise, I'm definitely reading Shine by Lauren Myracle next. Be honest: How do you really feel about livermush? I feel like everyone should just go try it first. I don't want to spoil any surprises! 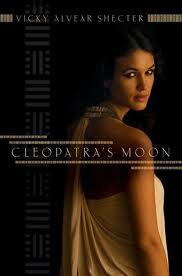 Earlier today, my author Vicky Alvear Shecter and I chatted about her novel Cleopatra's Moon on Twitter -- a fun conversation that covered how the book came to me (indirectly via SQUIDs! ), the vetting process, my acquisitions interests right now, our ancient Roman names, and sundry other topics. You can read a transcript of the conversation after the jump. We ran into one peril that I mention as a cautionary tale for future Twitter-chatterers: I had failed to verify that #CMchat would be a unique hashtag for us, and as a result, we were repeatedly interrupted by country music fans, several of whom expressed their annoyance that we were horning in on their chat. (And to be fair, they did have the hashtag first.) I've deleted their tweets (and RTs of relevant tweets) from the conversation below. Click to read the whole conversation. I have a longer post planned here, but it is taking some time to come together; and every day I do not post about this is another day that you may be missing out on this excellent bargain and novel. Google Reader -- To buy the Google edition from an independent bookstore, go to your favorite independent-bookstore-participating-in-the-Google-eBooks-program's website; click on the Google Books link; and complete the purchase through them. I suggest The Flying Pig in Vermont or Rainy Day Books in Kansas City. As the book trailer shows, this features a girl thief who's pretending to be a noblewoman, trapped in a snowbound castle, with secrets and conspiracies and entanglements galore. As such, it is the perfect book to snuggle up with under blankets this winter, or to get lost in during long travels to visit friends-and-relations. And I daresay it would be even more delicious with a pack of pretzel M&Ms, because everything is; but I can't help you with that. Enjoy!